Our SALSA approval gives our customers our reassurance regarding the integrity of our systems and products. Technomic identifies 5 UK Restaurant Trends for 2014 “Honest Chicken” is number 3 and “Telling the sourcing story” is number 5. We have a newly installed state of the art “cook room” which we are all very excited about. Look out for innovative new products. If you have any questions or queries please do not hesitate to contact us. Click the link below for details. 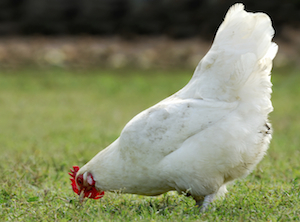 We rear all of our own chickens and offer a wide variety of fresh and convenient options. 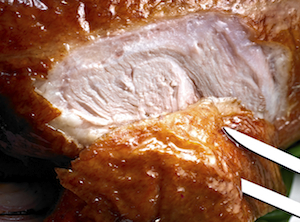 We will endeavour at every step to bring you wholesome, honest, tasty and succulent chicken. High animal welfare, full control of our supply chain, traceability, taste and flavour. These all combine to make our Chicken outstanding. We believe that there is no mad science attached to creating honest, delicious tasting food. We are the Thompson family and for over twenty years our world has revolved around our chickens! We rear them, feed them, look after them, and take great care with every step of the process until our chicken arrives with our customers. 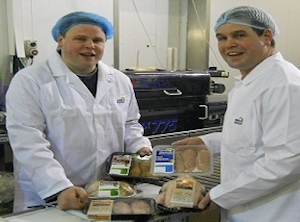 Founded in 1991, Rockvale Poultry is a family owned and managed company based on our own farm in Richhill, Co.Armagh. Our business has expanded steadily and now we employ 75 people, all passionate about producing the best chicken products that we possibly can. Yes, we have a very modern, fully EU approved processing facility, but we believe that the things that matter should be done the traditional way, without pulling the feathers over anyone’s eyes.